Same slender silhouette, same temperament as her elder sister the First 50. 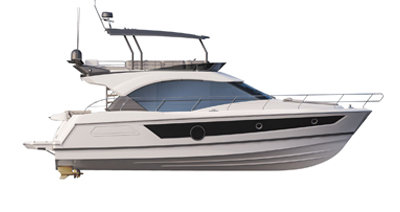 Designed for her appeal and to give pleasure, the First 45 completely renews the way people approach cruising. A stylish yacht with an innovative hull design, this fast 14-metre cruiser is a perfect blend of elegance, power and safety. She promises great sensations and comfort, making each sailing trip special.